On the 10th of December 2018, Mr. Benedek Javor MEP, the vice chair of the Committee on the Environment, Public Health and Food Safety of the European Parliament, submitted a written question to the European Commission about the sustainability proofing of the E40 Inland Waterway. Mr Javor's question is requesting an important information because the economic, ecological and social sustainability of the suggested new waterway is not proven through its 2015 feasibility study, which was co-financed by the European Union. 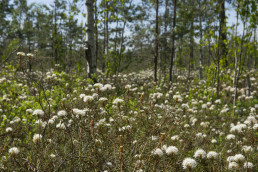 "Polesia is Europe’s greatest intact floodplain region, which comprises large forests and wetlands and boasts high biodiversity and great potential for climate mitigation. What action will it take to ensure sustainability proofing of the E40 and any other EU-funded inland waterway developments, in addition to guaranteeing proper stakeholder participation in the decision-making processes concerned?" The question and the European Commission's response will be available here. 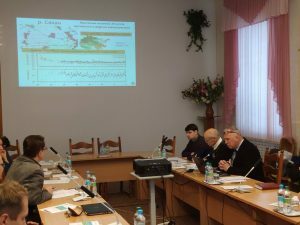 The National Ecological Center of Ukraine (NECU) organized a roundtable discussion about "Natural Values of Polesia and Environmental Threats of the E40 Inland Waterway (E40 IWW)" in the Conference Hall of the National Academy of Sciences of Ukraine on 26th December, 2018. 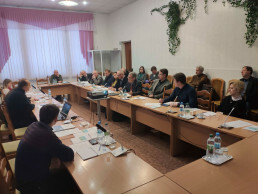 The event was attended by representatives of the Parliament of Ukraine, the Ministry of Environmental Protection, State Water Resources Agency, State Ecological Inspection, State Administration of the Chernobyl Exclusion Zone and several non-government environmental organizations. Oleksandr Husiev from NECU presented an overview of the threats posed by the implementation of the E40 project for territories adjacent to the Chernobyl exclusion zone. For instance Leonid Protsenko head of the "Intercocenter" NGO noted that after the Chernobyl disaster the exclusion zone was very contaminated with radioactive elements, therefore the construction of the international waterway E40 should be preceded by a thorough investigation of the potential threats of re-contamination of the waters of the Pripyat and the Kiev lake. 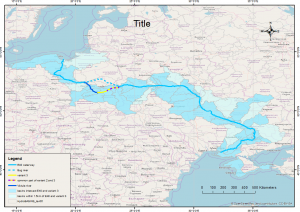 The representative of the State Agency of Water Resources Irina Voytyuk drew attention to the fact that the Laws "On Strategic Environmental Assessment" and "On the Environmental Impact Assessment" now operate in Ukraine, and the E40 Waterway Project should be considered in accordance with the procedures defined by these Laws. Environmental losses ought not to exceed the economic benefits. APB-Birdlife Belarus started a national campaign in 2000 to call the attention of Belarusian citizens to the challenges linked to birds. One species is selected each year to be the focus of the campaign. For 2019, the Greater Spotted Eagle was chosen as the Bird of the Year. 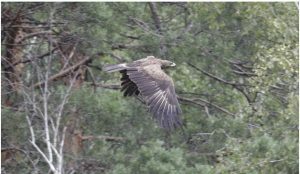 This will help APB to continue its existing "Save an eaglet!" fundraising action, which includes organizing expeditions to find and monitor nests, then mobilizing volunteers and legal tools to protect the precious breeding sites.